Les & Twyla Brickman have ministered together for almost 42 years. Together they bring their expertise about cells, couples in ministry and empowering leaders to nations worldwide. They have four children, three grandchildren, and since 2008 reside in Nairobi, Kenya. Dr. Les Brickman earned his Bachelor of Arts in Russian from the University of Arizona, his Master of Divinity from Southwestern Baptist Theological Seminary and a Doctor of Ministry in Cell Church from Regent University. Les continues to travel overseas where he teaches, coaches, and assists in the development of indigenous cell churches. Twyla Brickman has experience as a Cell Leader, Cell Coach and Zone Pastor. Twyla has completed her Master of Arts in Practical Theology at Regent University with an emphasis in cell church. Twyla is also a published author and assists in training and ministry internationally. From 2008 - Present Twyla ministers, teaches, establishes cell groups, and develops cell church materials in East Africa. From 2003 - 2008 she served on staff at Riverside Community Church in Nutley, NJ, overseeing the development of the cells. 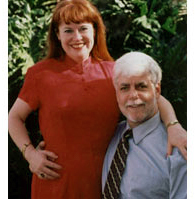 In 1998/99, Les & Twyla resided in Russia, assisting in the development of cell materials and the training of pastors and leaders. TOUCH released a teaching video by Twyla entitled, "Leading Cell Worship," a twelve week course for effective assimilation of current church members into cells entitled "Boot Camp," as well as additional resources.